Jeremy Waller is an agent with the FBI. 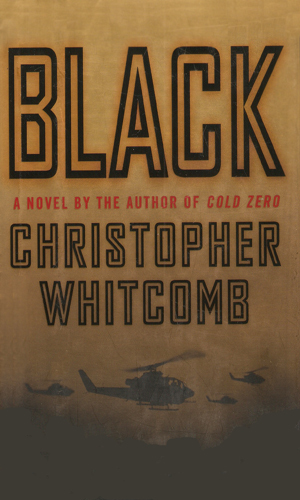 Though he has been an agent for many years, earning a solid reputation as a very dependable man to have on a team, he has, at the start of this two-book series, just become a member of the highly prestigious Hostage Rescue Team. As such, he is now tasked with heading to far-off places to take on dangers to civilians from a virtually unlimited number of dangers. Whether it is terrorists or organized crime or an unhinged man with a grudge, it is Waller and his fellow agents who must shut down the trouble with a minimum of bloodshed and innocent casualties. Within this division, Waller's personal assignment is that of sniper. Standing 6'4" and weighing only 185 lbs, Waller is a very fit and sinewy man who enjoys going the extra mile to make sure he stays in shape. This is not easy to do considering that in addition to missions that take him around the world in a work environment not condusive to a regimen. Add to that the fact that Waller is a married man with three young children. Luckily for Waller, his wife, Caroline, has a handle on things albeit with less than great enthusiasm for the dangerous profession her husband has chosen. Waller is known to his superiors and peers for more than his intelligence, which is high, and his physical ability, which is also commendable. He is known for his exceptional ability to think through a problem, seeing beyond what most do and coming up with a plan that gets the job done. He is seldom the fastest at something or the strongest at something but he is usually the first at getting it done, and done right. While most series about FBI agents do not qualify for membership in this collection, Waller is a welcomed member because his recorded assignments are both of international scope and both have national security implications. And while he works as a member of team, his individualness makes him stand out. Recent to the HRT, Jeremy Waller is thrown into the middle of a case where a billionaire is trying to sell encryption technology to the Middle East and a female Senator, trying to stop him, is plunged into a scandal not of her making. Several American cities are attacked by planes and Jeremy Waller, on his way back from assignment in Indonesia, is assigned to the team to track down who was behind the assaults and bring them to justice one way or another. 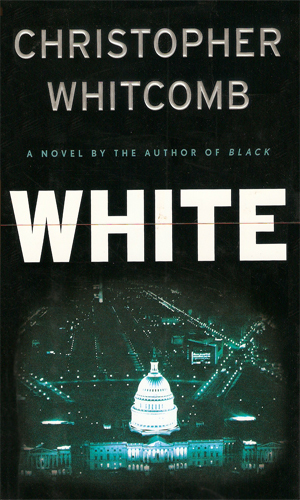 There are but a few authors in the nasty and dangerous world of clandestine work who can follow the writer's credo of "write what you know" but Mr. Whitcomb is one of those, having served as a member of the HRT of several years and going into harm's way on more than one occasion. When you add in the fact that this man can write extremely well, you have the winning combination for a great series and the Waller series does not let you down. Almost immediately the author lets you into Waller's world and you get to know him quickly and sufficiently to worry about how he will fare. Certainly since he is the main character, you never really ponder the ultimate bad happening to him but that does not go as well with his associates and loved ones and when the author can make you worry about them as well, he has more than earned his price. I liked the action these two books gave and I hope some day Mr. Whitcomb will decide to tell us more.